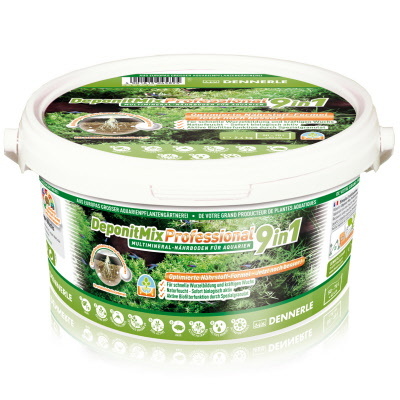 DeponitMix Pro 9 in 1 is a long-term mineral nutrient medium developed by Dennerle’s aquarium plant nursery. Premium quartz sands make the best bed environment. Carefully-selected clay minerals preserve the balance of nutrients. They release nutrients when the plants need them, and absorb them again when there is extra. Humus-rich natural peats create a somewhat acidic substrate, and break down nutrients to convert them into a form that plants can process. Concentrated nutrient iron paired with vital trace elements ensure stable growth and lovely green leaves. 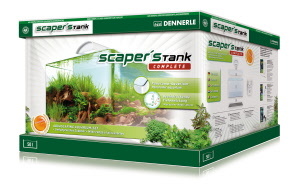 Both the water quality and the health of aquarium inhabitants are improved by the excdeptional, highly porous granules which function as a bio-filter. The most delicate plants will get off to a good start and develop strong roots with DeponitMix Professional. And since there are no added phosphates or nitrates, this substrate does not encourage algae growth.